I found out about this new edition Mars chocolate bar by chance browsing the WH Smiths next to the train station I commute from. Sometimes new edition chocolate bars come with press releases and anticipation, other times they are quite low key, like this one which just appeared. They were on offer as they were new so I took a gamble and picked up a handful. 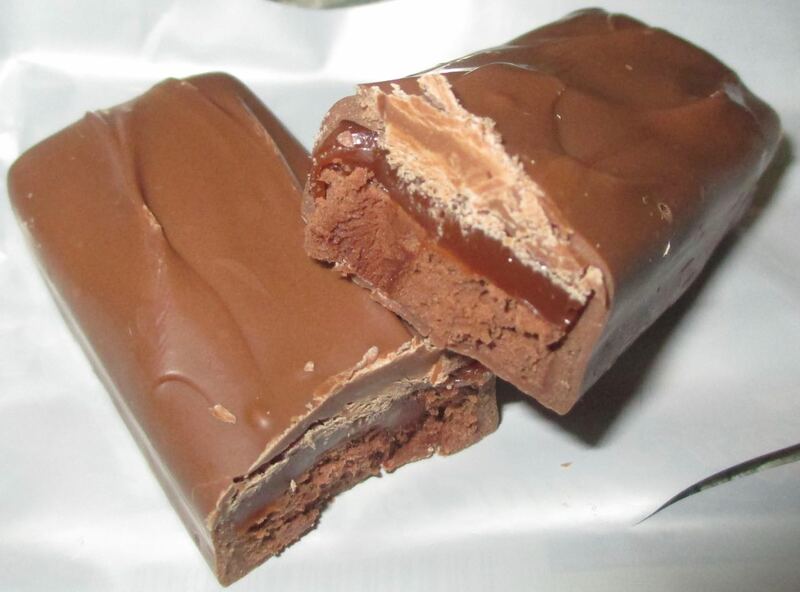 The bar looks like a regular Mars under the wrapped, but once cut in half I could see the change of colour of the lower filling. It looked darker, and yes a bit more Brownie like. Not quite spongey though. With the taste test it became apparent that the overall flavour was remarkably similar to that of a regular Mars bar, albeit a little more chocolatey. There was a hint of darker cocoa tastes, and that baked chocolate flavour. However their was still the chocolate coating, caramel and a hint of the usual nougat that made the whole thing scream Mars bar. This was a tasty chocolate bar and that was because I like regular Mars Bars. The Choc Brownie part was quite a simple edition, and the base lacked the sticky sponge texture, but did have the flavour. Part of me thinks you could buy one of these without noticing the Choc Brownie reference on the packet or the mild change in flavour. I shall enjoy mine though, and working through my stash. This is better than a regular Mars just because it is so sweet. Don't care if it doesn't really offer what it is supposed to in representing a brownie. Hopefully here to stay.